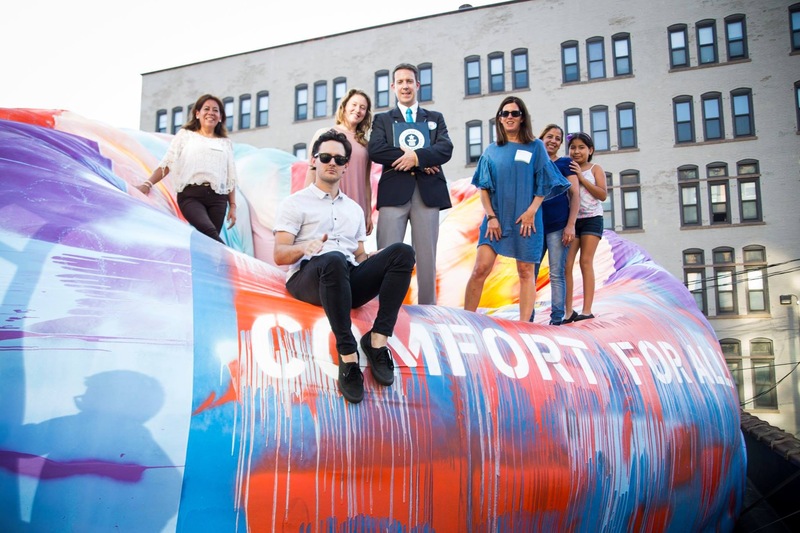 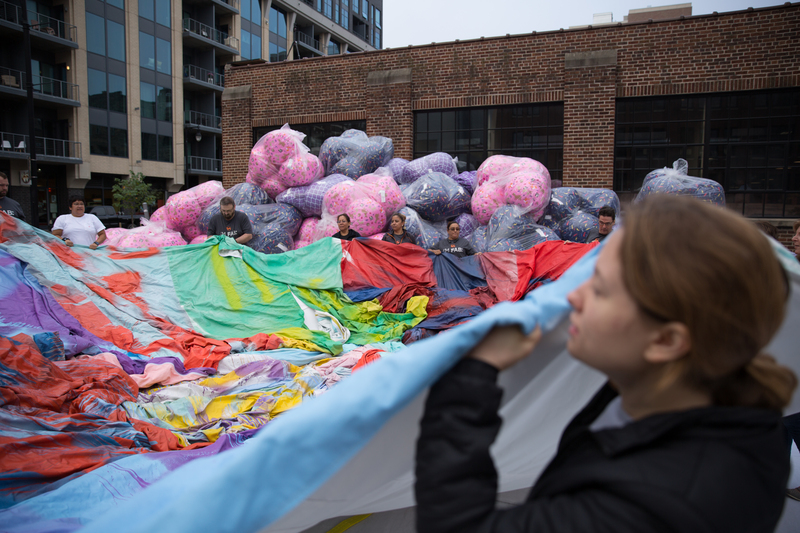 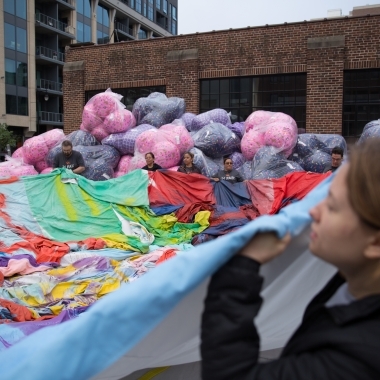 Our 2017 ArtPrize entry has officially broken the Guinness World Record for world’s largest bean bag chair! 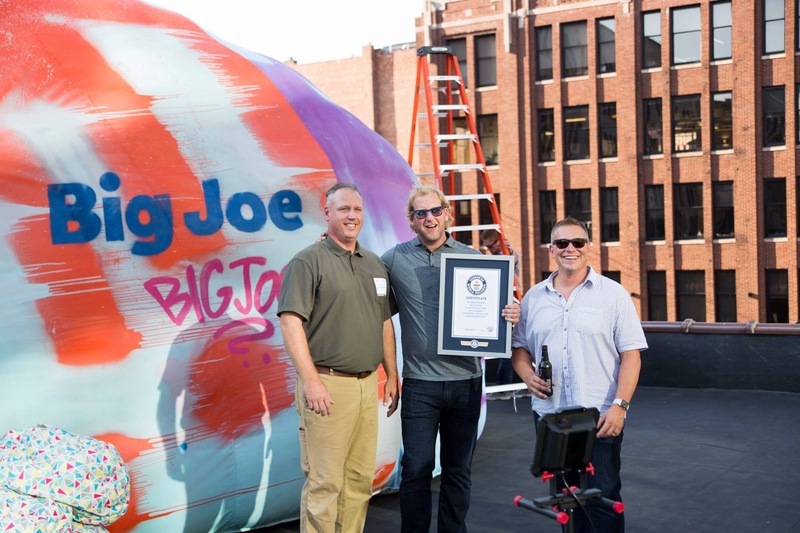 The new world record was declared at a ceremonial measuring on Wednesday, Sept. 20, by Guinness World Record adjudicator Philip Robertson. 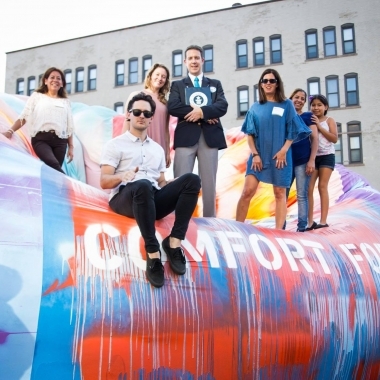 The official volume of the chair is 5,224 cubic feet and 6 inches. 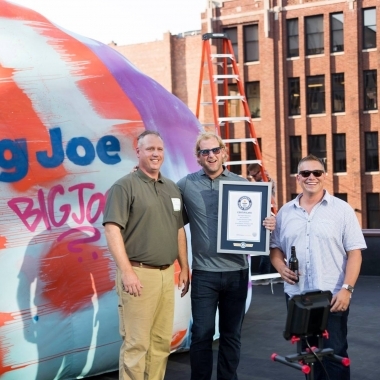 This beats the past record holder for world’s largest chair, Vaillant Group UK LTD. and its 53.29 cubic meter chair, by 250 percent. 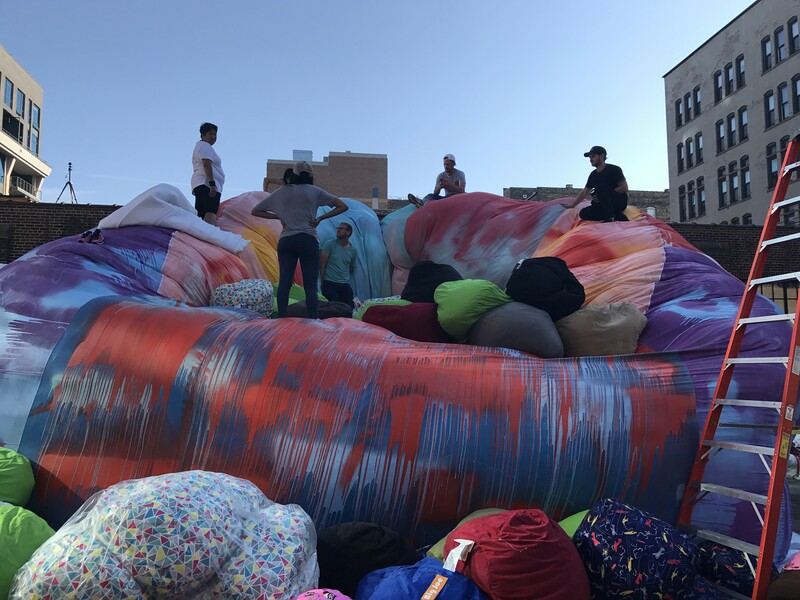 Thank you to all ambassadors who worked on the project to help design, build, fill and sew the bean bag chair. 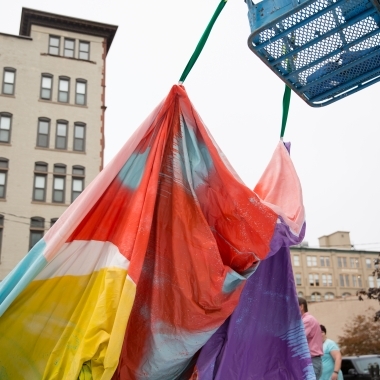 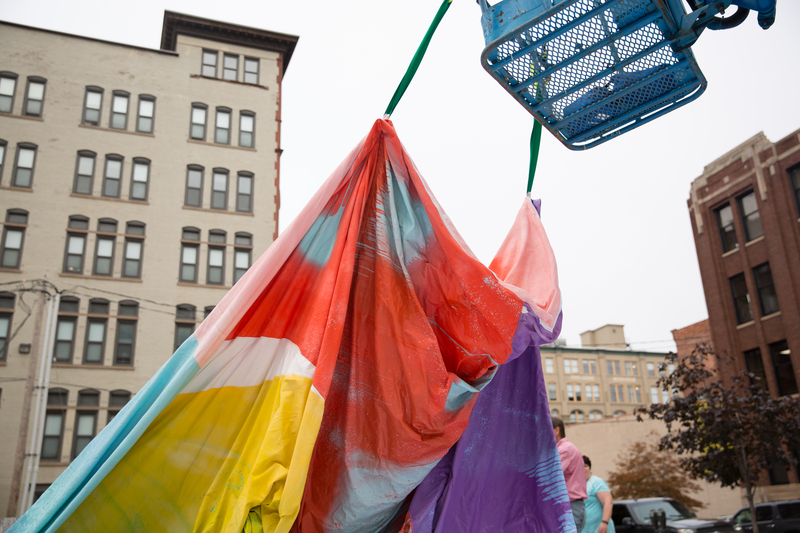 It took many weeks to sew, paint and assemble the fabric and two days just to fill! 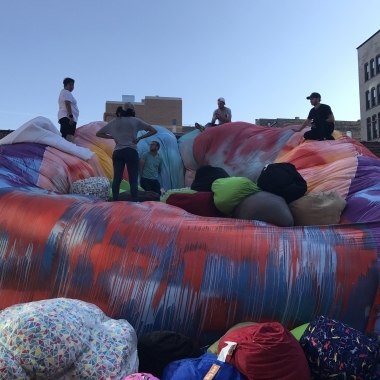 the bean bag and your efforts paid off! 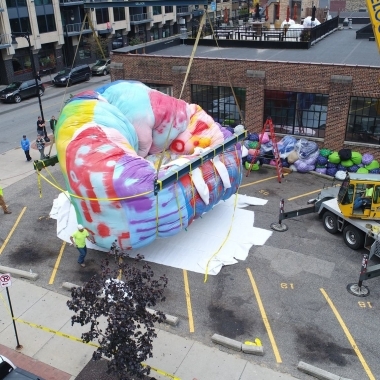 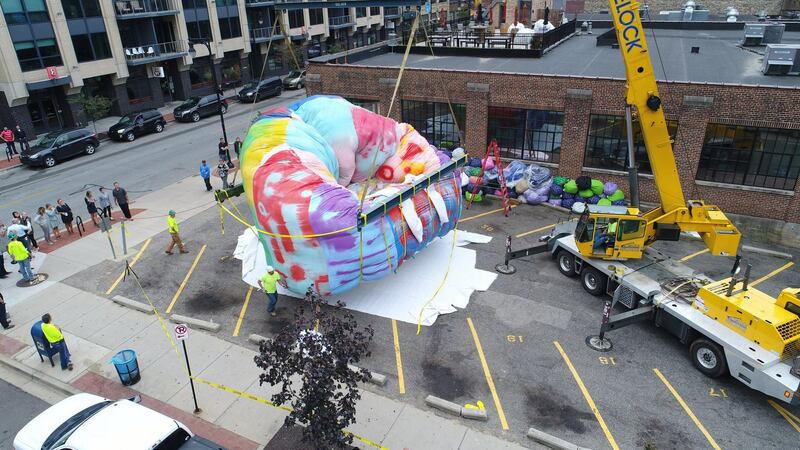 Our entry is titled “Big Joe’s World’s Largest Bean Bag Chair” and can be found on top of the Lambert, Edwards & Associates building at 47 Commerce Ave. in downtown Grand Rapids.